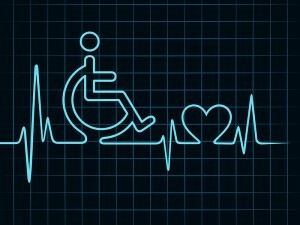 There’s a huge disconnect when it comes to understanding disability insurance. As an insurance broker, I find that my clients are often the victims of second-hand information from people who have not stayed on top of a rapidly changing industry and hearsay. More than 20% of workers under 40 believe they are more likely to win a big lottery jackpot than they are of missing work due to illness or injury. The odds of a 20-year-old becoming disabled at some point in his/her career are one in four. The odds of winning the lottery? One in 259 million. A majority of employees (67%) in a recent survey identified income as one of the most-important things in their lives. Only 28% of employees identified that income as something important to protect. Just 43% report having some sort of income protection. This is disturbing when you consider that fewer than 40% of adults in a 2014 survey said they would have enough money in a savings or checking account to pay for a $1,000 emergency-room visit or car repair. That means they’re pretty much living paycheck to paycheck, without regard to the possibility of their being disabled for even a short time and unable to work. Many people think that there will be some other magical source of income, such as workers’ compensation or Social Security that will step in and replace their income. If you’re injured in the workplace, you may, indeed, be eligible for workers’ comp, but 95% of disability claims come from illnesses and accidents that are not work-related, which means you do not qualify for this form of income compensation. Further, nearly two-thirds of Social Security Disability Insurance claims were denied in 2012. For those that were approved, 93% of disabled workers received less than $2,000 per month. We love our quality of life here in the Bay Area, but we pay a price—a high price. Whether you own your own home or pay rent, your monthly payment likely would take a big bite out of $2,000. And then there’s food, insurance, car payments, taxes, clothing. If you have kids, you know that their needs are constant. Even if you live very simply, minimizing entertainment and discretionary spending, $2,000 isn’t going to last long and you will quickly begin spiraling into debt. Since most people seriously underestimate their risk of a disability and 30% don’t ever think about really preparing for such an eventuality, the stakes are high and the potential for major financial loss is great. 73% say understanding the benefits provided by their employer is very important. Anyone who experienced a layoff and an extended period of unemployment during the recent economic downturn understands just how vulnerable he/she really is. Many people learned a valuable lesson, promising to never take their jobs for granted again, and begin saving for another such eventuality. The reality is that the economy is cyclical and periods of both upswing and downturn are inevitable. These are things over which you have no control and for which you should prepare, just as with a disability. Helping people protect their paychecks has never been more important. As an insurance professional, I bridge the knowledge gap about disability insurance and other financial protection benefits. It’s my job to educate my clients, helping them make informed decisions to protect themselves and their families.